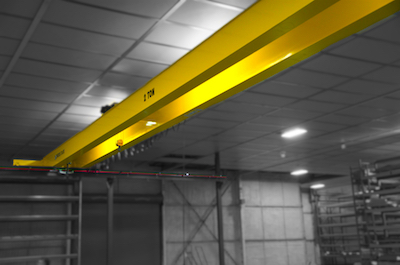 A type of overhead crane, or bridge crane, which consists of a double girder runway equipped with a traveling bridge between supported points within a structure. 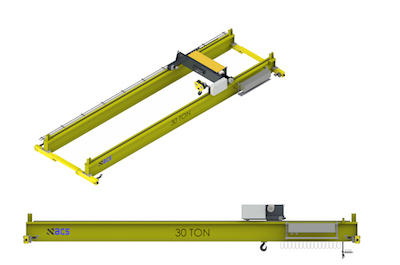 A hoist, the lifting component of a crane, travels along the bridge. 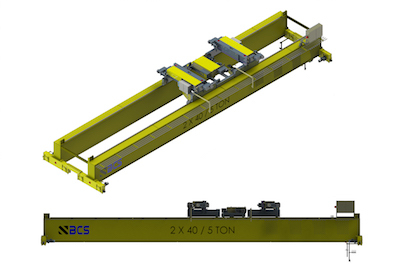 Top Running Double Girder Cranes carry the bulk of the heavy lifting. 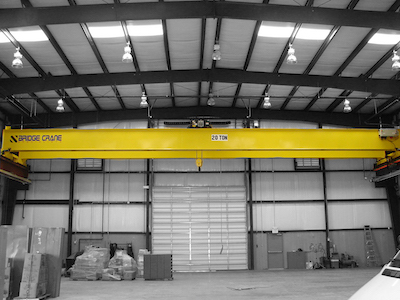 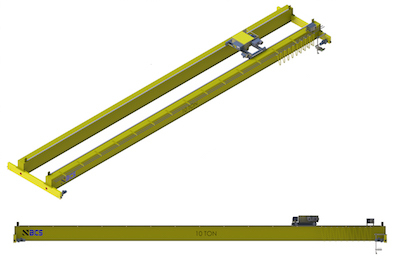 With spans of up to 150’ and capacity to 250 Tons, TRDG Cranes are our most powerful solution. 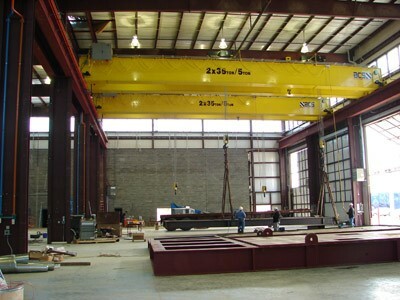 TRDG Cranes can handle the most diversified application and environment.